Bigham Tavern is your home for celebrations. Let our team help you plan the perfect event tailored to your needs and budget. Whether you are planning an intimate brunch with friends or rehearsal dinner, our aim is to take care of each event as if you were our family. Our newly renovated party room has a seating capacity of approximately 45 guests, flat screen televisions, dart machine and a 10’ projection screen. Looking for more space? 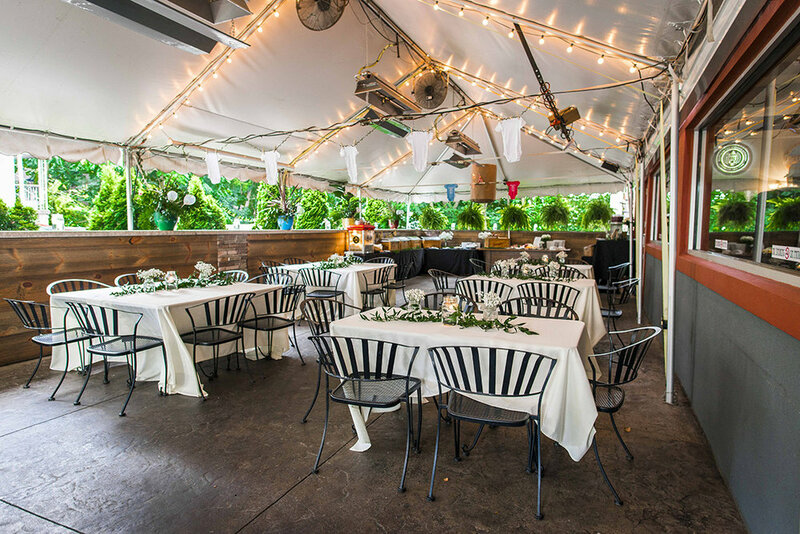 Our tented patio can fit 75 guests. 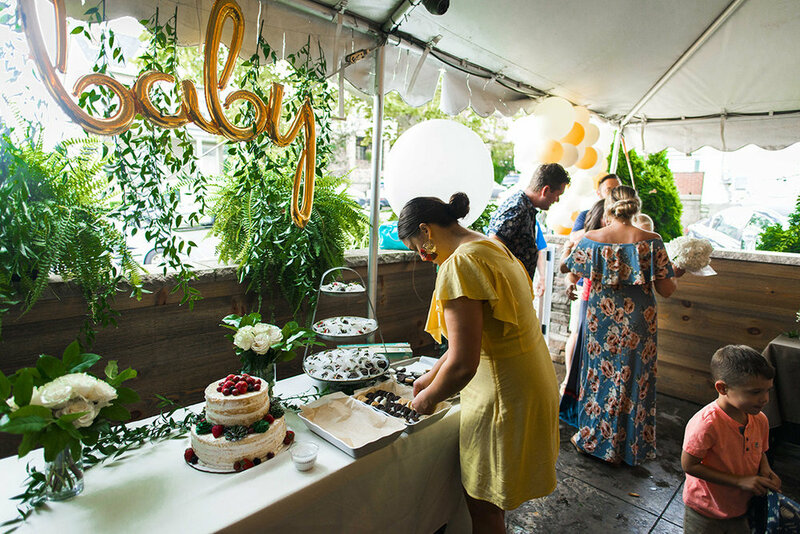 We’ve hosted everything from birthday parties to baby showers—including several weddings. Check out the detailed list below of past events we’ve hosted! ➡ Parties for the sake of parties! Click the link below to fill out an event inquiry form. Our Private Events Coordinator Dominique will be happy to discuss your event and see if Bigham Tavern is a fit for you! Looking to take the party home? Bigham Tavern also offers off-site catering. Let us bring the party to you!